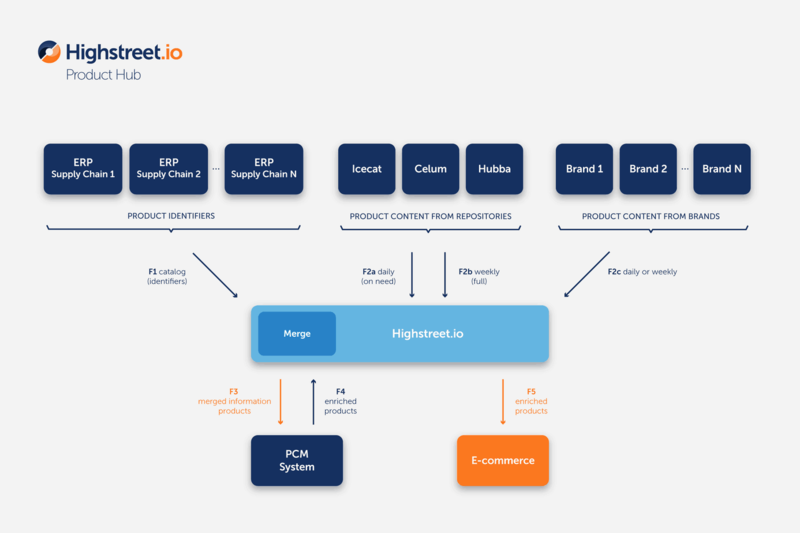 Highstreet.io’s robust SaaS platform combined with our leading-edge managed services provides customers with a seamless way to manage and optimize their product data. 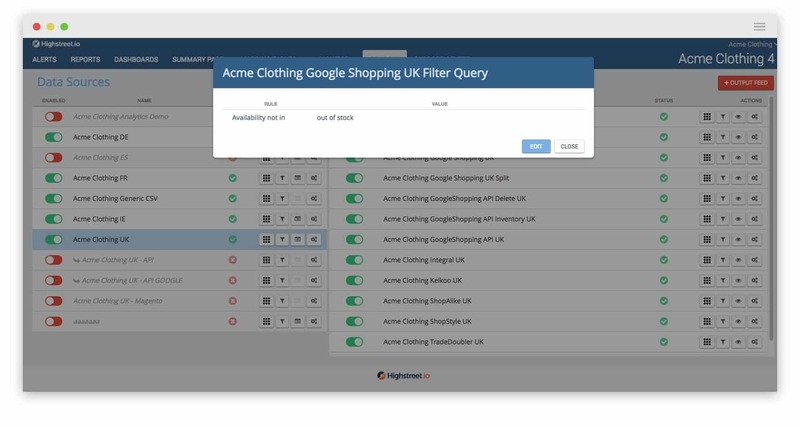 Synchronize content for all players in an eCommerce ecosystem. Support a comprehensive content synchronization strategy for the entire eCommerce ecosystem. 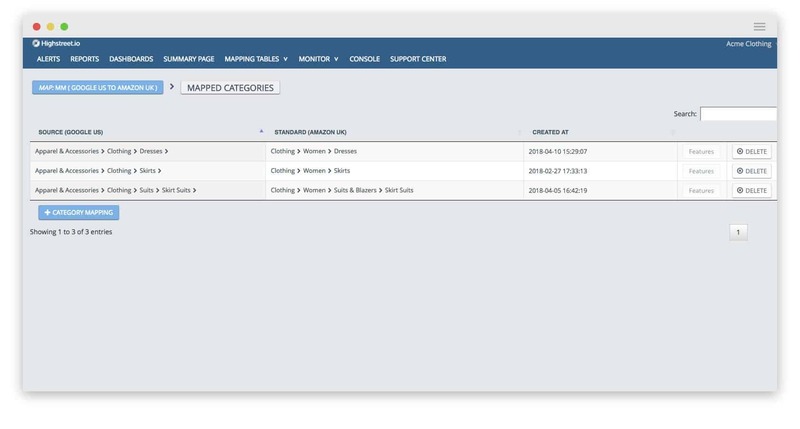 Synchronize a large number of sellers into a unified, central shop & bi-directionally connect moving product data from sellers to the central shop & order data from the central shop to the individual sellers. 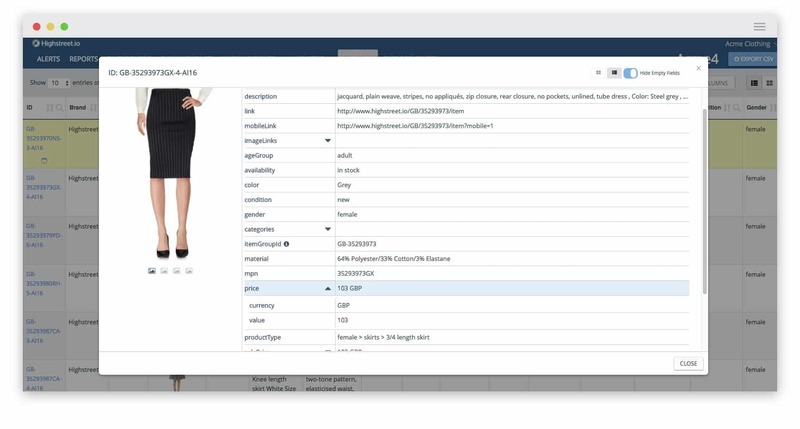 Distribute complete and accurate product data from e-Commerce sites to shopping channels & maintain synchronized product data between eCommerce and marketing channels. 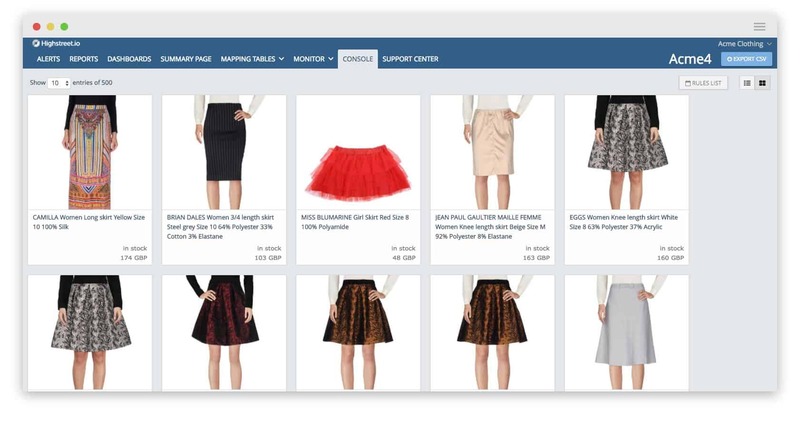 Simplify selling products on marketplaces & maintain synchronized product and order data improving the efficiency of eCommerce product handling and logistics. 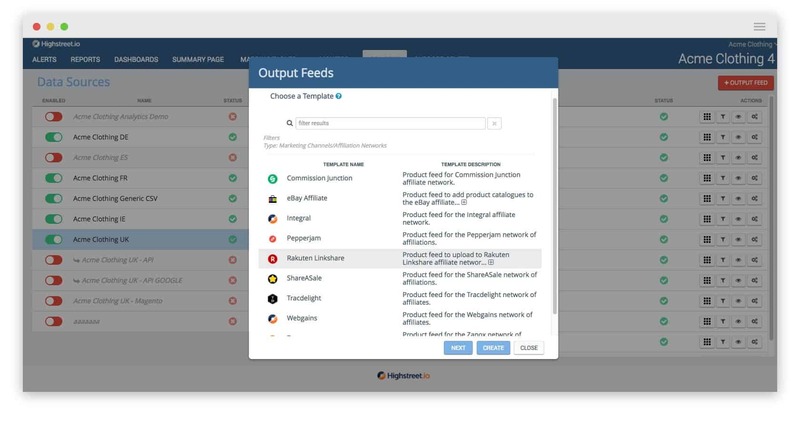 Feed flexibility is integral to making constant tweaks to your campaign performance. 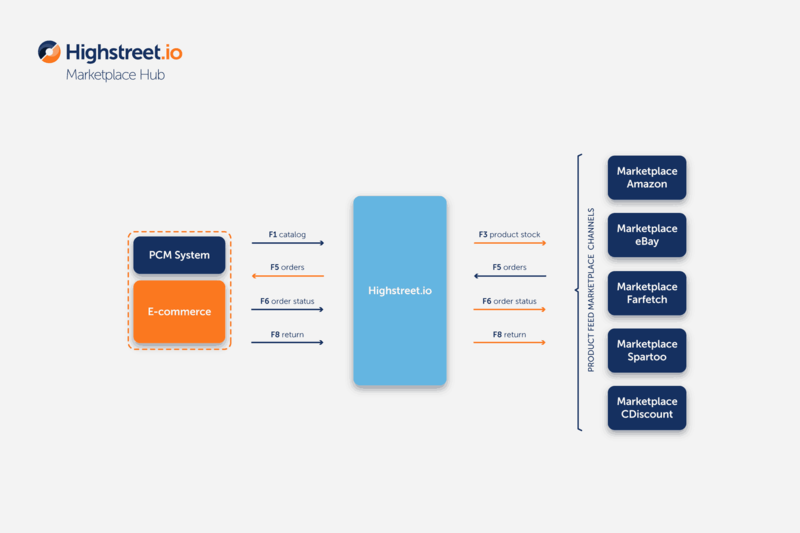 Highstreet.io relies on powerful and flexible tools to transform your input data format into hundreds of output formats as specified by channel partners. 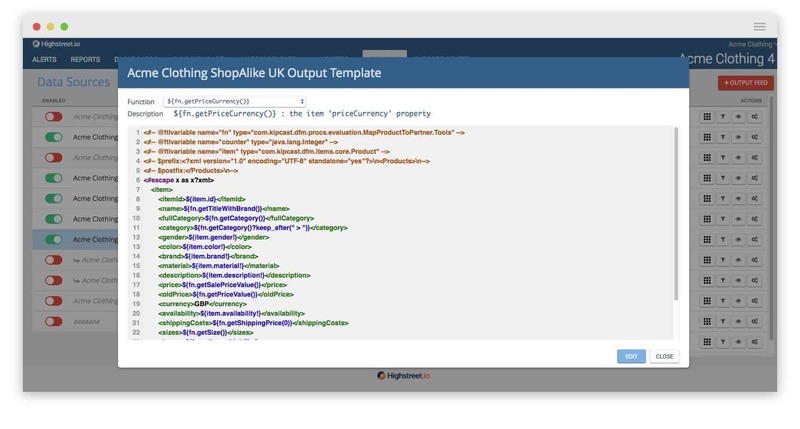 Scripting approach: applying Groovy scripting, a Java-like language, to simplify the data transformation configuration and minimize the time it takes to make complex product data transformations. Note: Our platform’s online editors support coding both languages combining them with flexible input and output filtering rules. 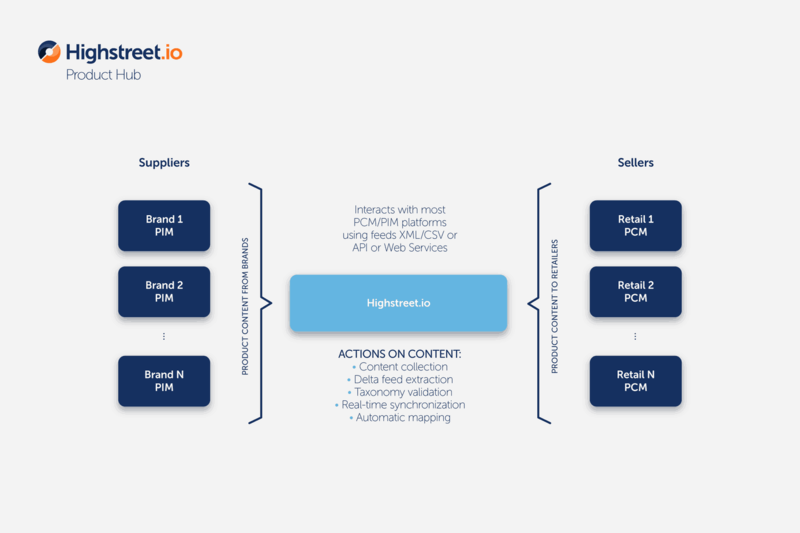 Highstreet.io supports sophisticated mapping and classification operations for product data. 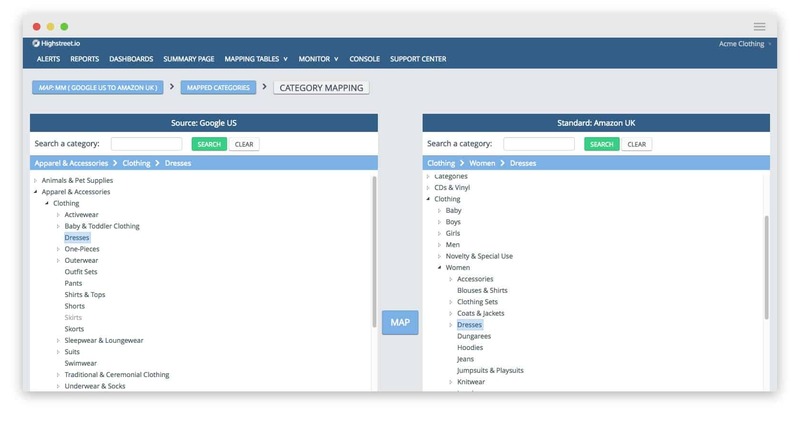 Mapping tables are used to translate data, standardize categories and complete missing product fields. 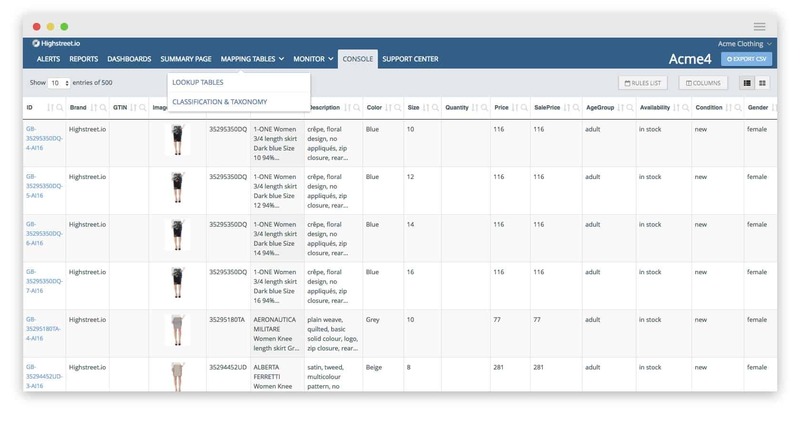 There are hundreds, if not thousands of mapping tables used across our platform by our customers. 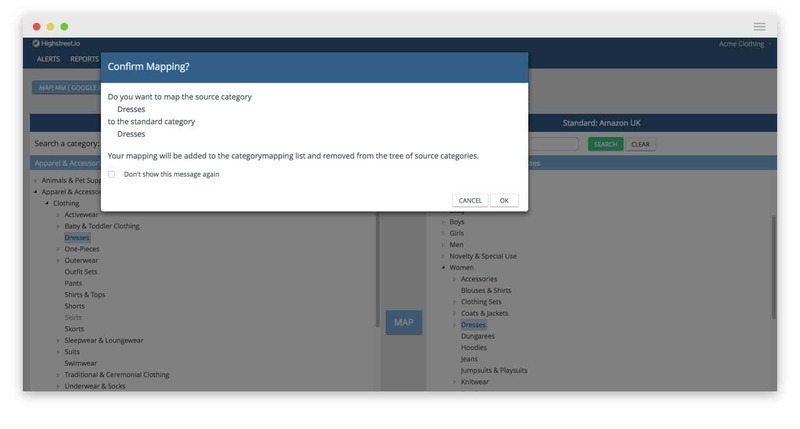 We manage these classifications with our specific hierarchical mapping tool. 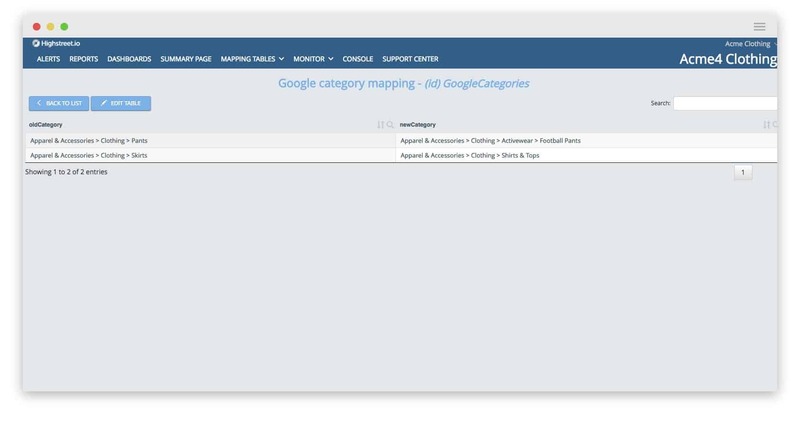 To access the tool we start by selecting Classification and Taxonomy from the platform menu. Once we select the product category from the menu we map it from the originating source to the destination source. 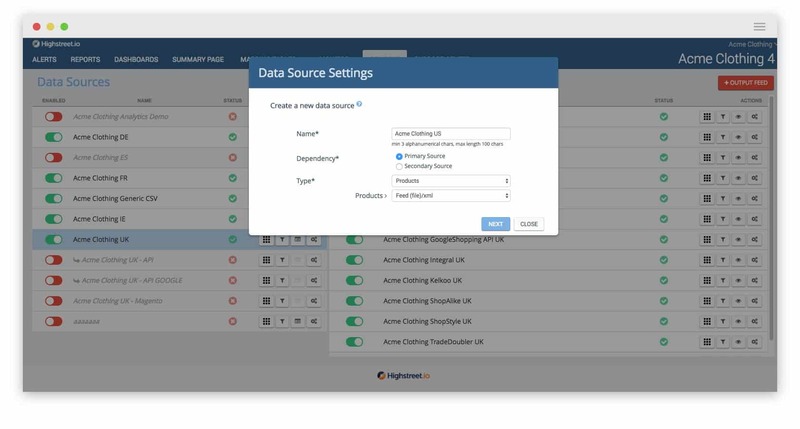 Highstreet.io contains a scalable and configurable visualization tool to search and navigate product items from data sources. 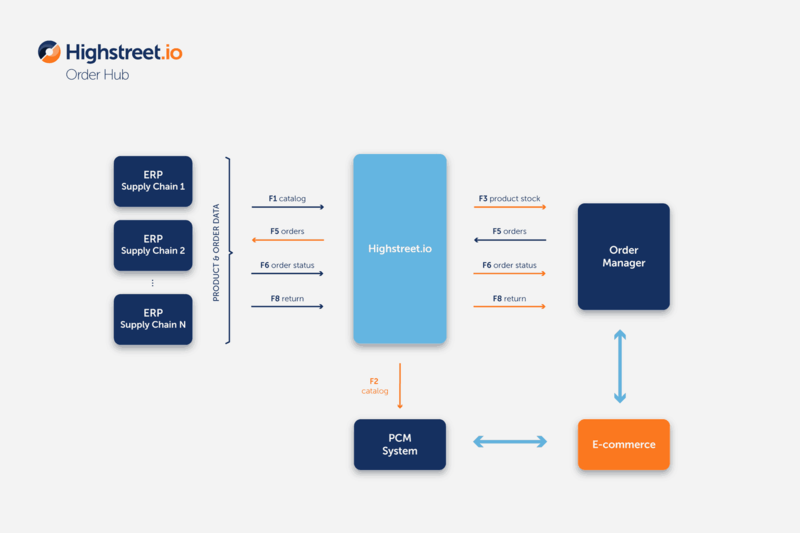 All product details available on Highstreet.io internal object model can be browsed. 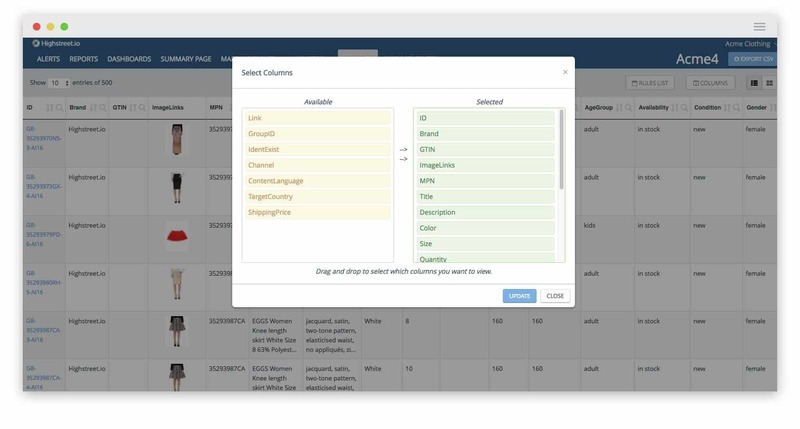 Users have the option of selecting which columns to view. 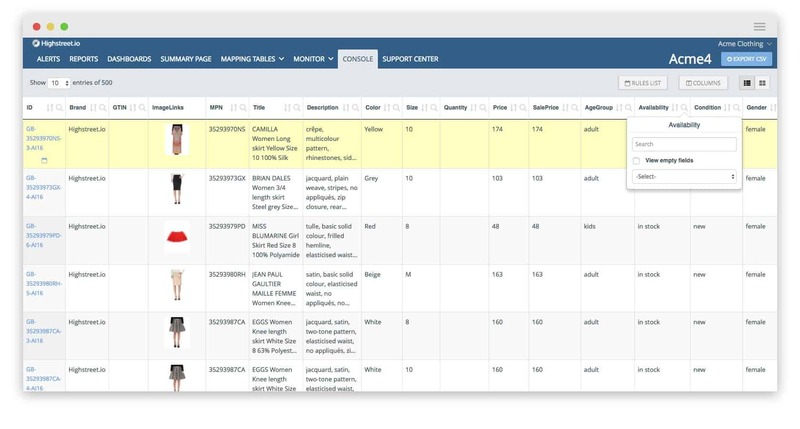 Search is structured based on data types of individual elements. 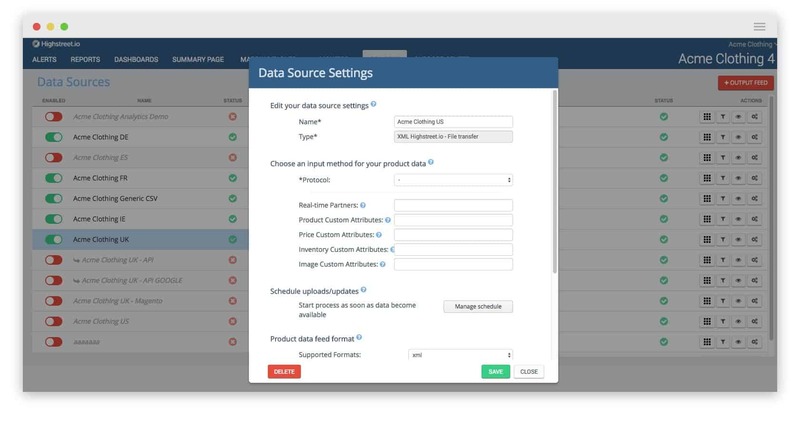 All product data points are available on a detailed product viewer with the option of editing individual product data. At the end of editing operations, users can continue data edits even with subsequent feed uploads forever or for a user configurable interval. Alternatively, changes persist until the next feed upload. 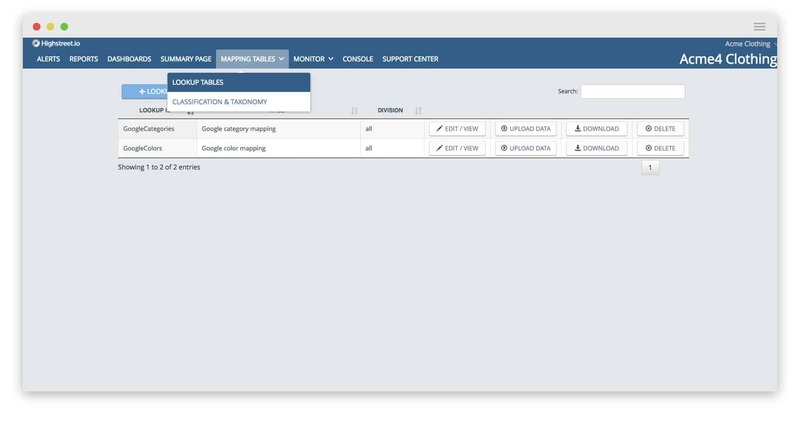 A fully pictorial grid view is also available for visual oriented browsing operations.